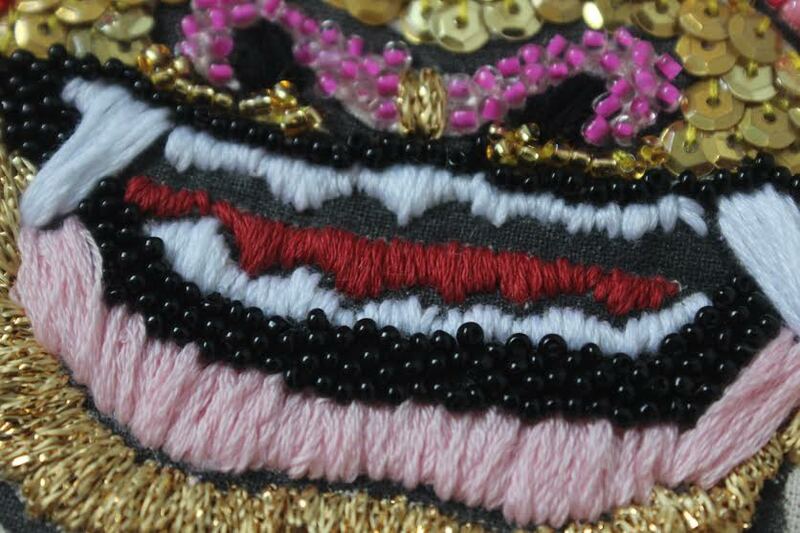 Sophie Pearl Edward is a Level 6 BA (Hons) Costume and Performance Design student at Arts University Bournemouth. 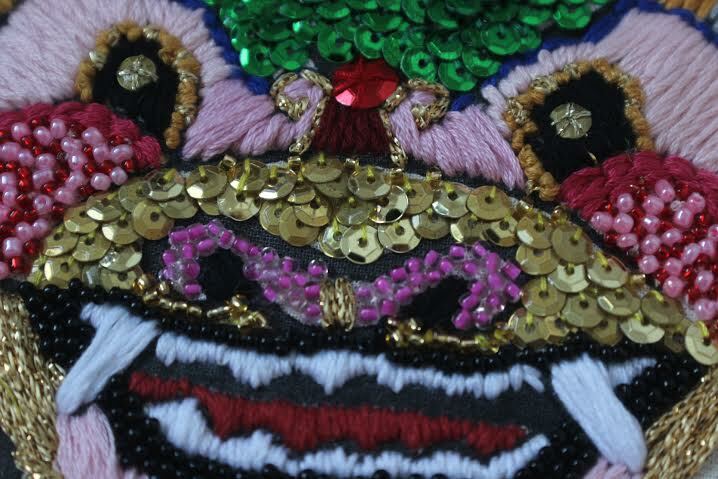 This is her costume design of “Widow Twankey Foo Dog”, which she created for the Dame in Aladdin the Pantomime at the Oxford Playhouse Theatre. I’ve just finished my first project of year 3 where I made a bright pink glittery velour track suit for the Dame in Aladdin the pantomime at the Oxford Playhouse Theatre. I was given the design of the costume to make by Amanda Hambleton and informed that the tackier it could be the better! 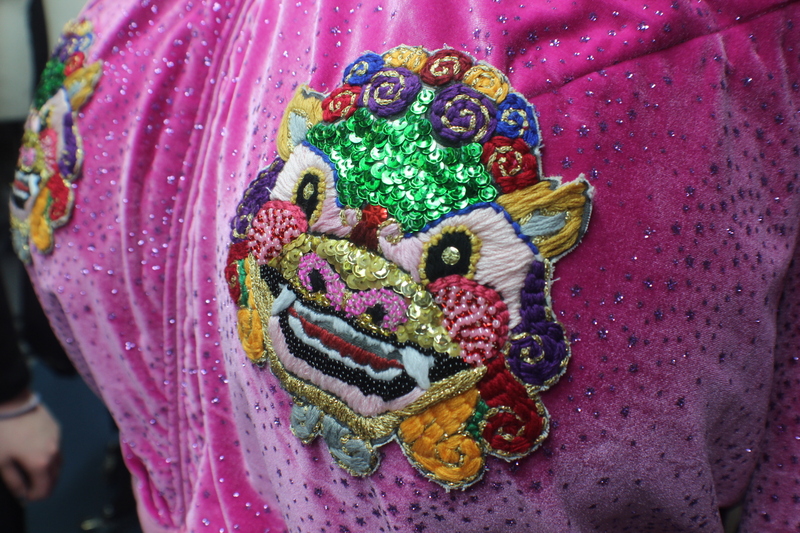 So I decided to merge the oriental theme of the production with Juicy Couture velour tracksuits and embellished the costume with two elaborately decorated Foo Dogs on the bust. 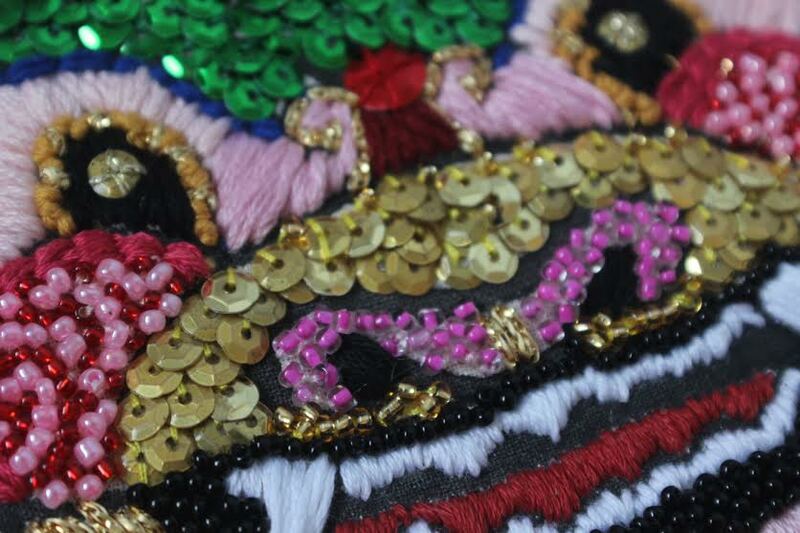 I sewed both of these by hand using traditional Chinese folk and modern western embroidery, sequining and beading. I am really proud with how they turned out and think they make the costume look amusing. I hope you like them too! This was a long process but I enjoyed it so much that it’s now inspired me to begin to make a memory denim jacket. This will have lots of decorated handmade patches of objects that mean something to me, in the style of these Foo Dogs. Aladdin the Pantomime at the Oxford Playhouse Theatre is on now so if you manage to get a chance to see it over Christmas look out for the costume I made! For more of her work, have a look at Sophie Pearl Creates on Facebook and @sophieperlcreates on Instagram.